Many people consider dogs as part of their family, but not everyone takes the necessary precautions when bringing their pet along for a ride in the car. Most people wouldn’t dream of allowing their child to travel in a vehicle unrestrained, but unfortunately, the same is not true for their pets. Driving with dogs shouldn’t have to be dangerous, and Ford wants to help make it safer. 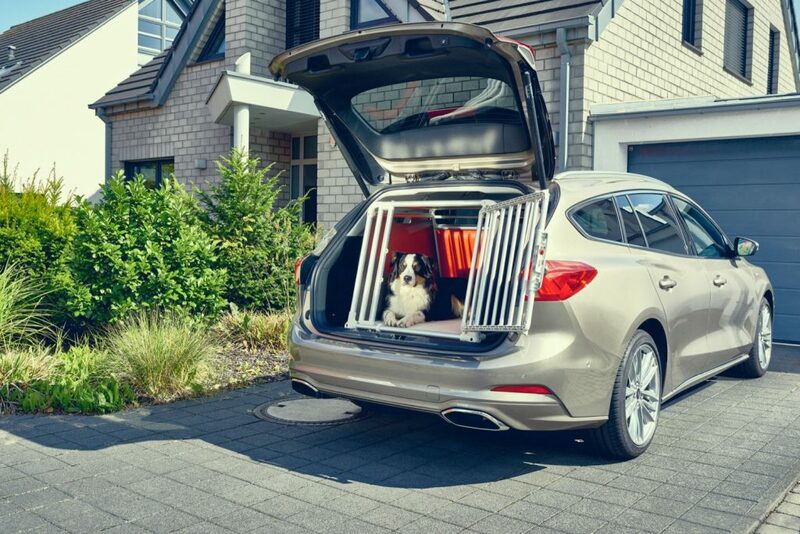 Ford commissioned a new survey which shows that 32 percent of dog owners admit to not securing their pets safely in the car. Securing pets safely is a legal requirement in many countries. 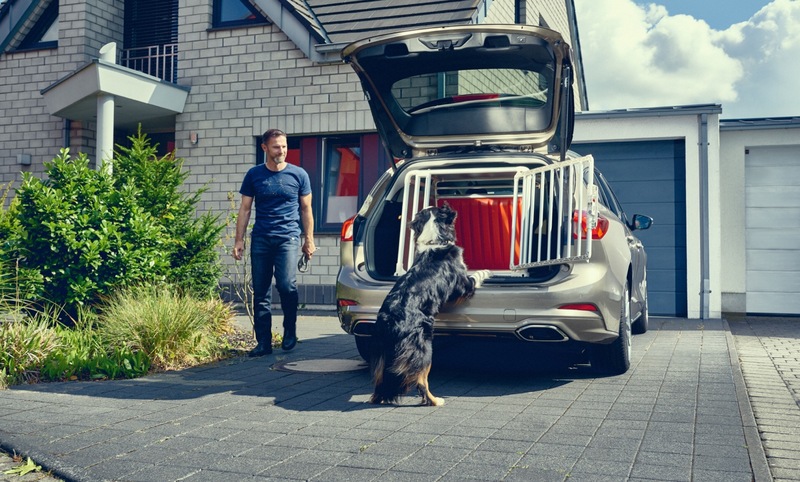 It is widely recognized that securing pets properly is not only safer for the animals, but also for drivers, passengers and other road users. With this in mind, Ford’s all-new Focus wagon was a labor of love for Ford engineer Rene Berns, who utilized his three-year old Australian Shepherd called Emil, for inspiration and support while designing the car. One of the many goals of the new Focus was to make driving with dogs much more safe. Rene enlisted Emil’s help during testing to ensure the biggest possible crate could inside of the rear hatch of the Focus wagon. The results of testing allow the Focus to comfortably transport an Irish Wolfhound–the world’s tallest breed of dog. More than 1 in 4 people that transport their dog in an unsecured fashion admitted that their pet poked its head out of the window. Some even admitted that their pets had previously jumped out of the window resulting, on occasion, in the pet being killed or injured. Owners also admitted that they were involved in accidents after being distracted by their pets. Some specific examples include dogs turning on indicators and obscuring the view of the driver. Together with his team, based in Cologne, Germany, Rene helped to maximize the rear hatch volume in the new Focus wagon by compressing the foam layer of the roof liner, altering the length of the hinge screws, and reshaping the hatch opening. The all-new Focus wagon is on sale across Europe, and Europeans are loving it, but unfortunately it will not make it to the United States. Whether the the Focus is available to you or not, be sure to take the necessary precautions when driving with your dog. There are enough distractions on roads today, let’s make sure that pets aren’t one of them. Don’t use cages for dogs, as they can be banging in them during hard braking! Use a safety harness that attaches to the rear seat belts, keeps the dogs sitting or laying on the seat, and holds the dogs through the harness and belt down safely under hard braking or in a collision. I have two dogs and they stay as safe as small children in my cars!